It’s hard to believe this is actually here. Fans have been waiting eight years since the release of ‘Body Talk’ for more solo Robyn and then out of nowhere (leak aside) a new song has finally arrived. And boy was it worth the wait. Not much has changed over eight years. 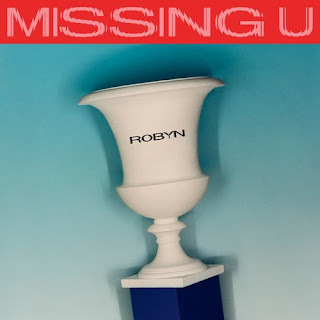 Robyn is still crying in the club, now mourning the “empty space you left behind, now you’re not here with me”. It’s a sad banger, matching melancholic lyrics with thumping production that’s polished, crystalline, euphoric. It might be typical Robyn – and it’s a template that many have copied since – but nobody else makes music quite like this. There are so many standout musical moments in Missing U. That synth fanfare at the start and deep bass rumble announcing her return. The way that cascade of synths drops in pitch at the song’s close adding a sense of weight and finality. Those warm synth pads in the verse that never resolve. The way the melody lifts yearningly with “there’s an empty space” that opens the chorus. How the extended second verse drifts off into thoughts and dreams, “thinking how it could been”, before dropping abruptly back into the chorus. The lengthy outro that slowly breaks down and fades into nothing. Lyrically, too, it’s so simple yet so effective. “Now your scent on my pillow’s faded,” she sings in the first verse, “at least you left me with something”: something personal and intimate, yet so intangible, so temporary. The raw simplicity of the chorus: “Now you’re not here with me…I miss you”. By the end, all that’s left is “this residue” – a smear, impermanent. And then there’s that final “I miss you” after the second chorus, a half shout half sigh, exasperated, desperate, tragic. This is pop at its most sublime.